Atlanta, GA, August 16, 2018: An Indian-origin restaurateur in Ashland, Kentucky, was the target of racist posts by a customer who referred to him and his family as “a tribe from India” and that he “probably just funded Al-Qaeda” by eating at his restaurant. 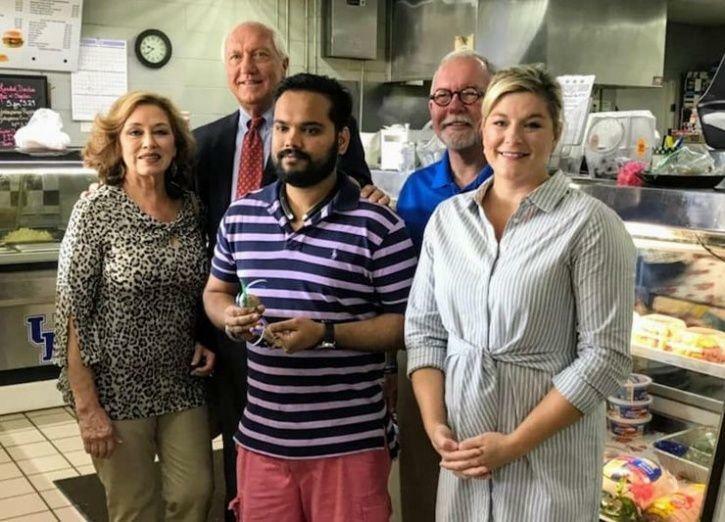 Taj Sardar, the 32-year-old owner of ‘The Kings Diner’ is Sikh. He told the Daily Independent he has encountered racism before in the form of rude customers suggesting that he go back to his country. But this hurt more deeply. The customer, through a Facebook post, said he reluctantly entered to order meatloaf special and was greeted by a tribe from India. “I’m ashamed that I probably just funded Al-Qaeda in order to have a meal,” the post continued. The post was so offensive that it soon went viral, with an outpouring of support to Sardar and his restaurant. “I really didn’t know what to do, but thank God for the positive people in the community who saw it. They came out and apologized to me even though it’s not their fault,” Sardar told the Daily Independent. Ashland city’s Mayor Steve Gilmore and three city commissioners visited Sardar to give support. Sardar is a green card holding permanent resident and hopes in time to become an American citizen.